Indian Copper Industry is 300 years old, as ancient Indians used copper in Ayurveda for surgical tools. Long back Hippocrates followed the Indian practice for the usage of copper in medicine and is now considered the Father of Medicine. A decade ago, the Indian Copper Industry consisted of a single state-owned company and now the copper industry in India takes up about 3% of the entire world market for copper. The Three Copper Indian companies are - Sterlite Industries, Hindalco, and Hindustan Copper - have contributed to India's transformation in market status from net importer to net exporter. The most favorable contributing factors for the growth of Indian Copper industry include changes in global usage, industrial development in India, and domestic increases in the construction, power and telecommunications, and automobile sectors. The size of Indian Copper Industry is around 4 lakh tons, which as percentage of world copper market is 3%. India is emerging as net exporter of copper from the status of net importer on account of rise in production by three companies. Copper goes into various uses such as building, cabling for power and telecommunications, automobiles etc. The two major states owned telecommunications service providers namely the BSNL and MTNL have consumed 10% of the country's copper production. Growing trend in the building construction and automobile sector is expected to keep demand of copper high. Analyzing the Indian Copper Industry comparing it with global copper industry, focusing primarily on the basic characteristics of the metal itself. Understanding the copper technologies involved in copper production, exploration, mining, and the uses of copper, as well as the global industry structure would impact the copper mining on the environment, the various markets of copper, etc. In-depth analysis signifies that market players, production profile of copper, consumption statistics, industry usage, and a look at the industry structure. The industry is affected by the price trends of copper, market performance, import/export scenario, the physical market trends, demand for copper, and of course, a market forecast. In India the largest producer of Copper is Sterlite Industries Ltd., which has made a global impact in the copper industry. One year prior to the Asarco purchase, Hindalco Industries, another Indian producer of copper, bought Canadian Novelis for $5.9 billion. In the year 2007 the Indian Copper Industry consumption has grown at a CAGR of 13.7 % to 574,000 tonnes, including 490,000 tonnes of refined metal and 84,000 tonnes of recycled scrap. The growth in the use of copper production is been highly impressive, which is seen in the context of the global demand for the refined metal growing at 3.1 % since 1990. Copper has a wide range of applications and therefore, the behaviour of the economy has an immediate bearing on its demand. It is assumed that in an emerging economy like ours, the elasticity of demand for copper vis-a-vis the industrial output is 1.6 compared with 0.7 for developed economies. In the year 2010-2011 India's copper demand is estimated to grow by at least 7%, fed by power sector, while demand from real estate and construction remains weak. According to India's eleventh five year plan (2007-2012), the investment requirement in the country's power generation sector is over Rs.4 trillion with 150 power projects for the various stages of installation. Indian copper production capacity in the year 1995 has registered a robust growth after the government allowed private sector companies. In the year 1996 the capacity has grown 16 times from mere 62,000 to 997,500 tones in 2007. The government owned Hindustan copper is a vertically integrated producer whereas Hindalco and Sterlite industries are mainly custom smelters. Copper production has seen a strong growth in India in the last few years. It has increased from 420,000 tones in 2004 to 740,000 tonnes in 2007, registering a growth rate of 21% CAGR. As mentioned before, Hindalco and Sterlite industries account for more than 80% of the total copper production in India. The size of Indian Copper Industry is around 4 lakh tons, which as percentage of world copper market is 3 %. 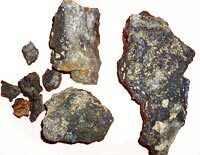 Land-based resources are estimated at 1.6 billion tons of copper and resources in deep-sea nodules are estimated at 0.7 billion tons. Today the global production of refined copper is over about15 million tons. The Indian Copper Industry has grown at a CAGR of around 10% between 2004 and 2007. The slower growth rate is attributed to the sharp decline in the demand for jelly filled telecom cables, the largest user industry of copper in India. However, the demand from power cables, winding, industrial applications and construction industry has increased between the same period. Moreover, deficit in the other Asian countries helped the domestic producers to increase exports. India's copper demand will likely grow by at least 7% in financial year 2010-11, fed by power sector, while demand from real estate and construction remains weak. The size of Indian Copper Industry is around 4 lakh tons, which as percentage of world copper market is 3 %. India is emerging as net exporter of copper from the status of net importer on account of rise in production by three major copper companies. 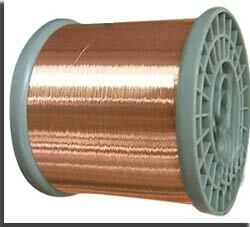 Copper goes into various usages such as Building, Cabling for power and telecommunications, Automobiles etc. Two major telecommunications service providers namely the BSNL and MTNL consume 10% of country's copper production. Growing trend in the building construction and automobile sector would keep demand of copper high. The India's largest producer of copper is Sterlite Industries Ltd. In 2008 the company purchased the United States' third largest copper producer, Asarco, for $2.6 billion. This kind of business move has helped not only to further cultivate India's global presence in the copper industry, but has also aid in the growth of the country's domestic copper industry immensely. Expressing concern over the threat of closure of 150 copper recycling units in Jammu, industry body CII asked the state government to take several measures, including reduction in custom duty, exemption of special duty immediately, to save the copper industry in the state. The units in Jammu are becoming unviable and unless immediate steps are not taken, 150 such units, which were providing employment to over 10,000 people, may be closed down. As the trend changed the move for the country's metal sector, HCL has roped in Monarch Gold Mining of Australia to revive and operate the Surda mine in Jharkhand. In the year 2003 at the time of its decommissioning, the mine had reserves of 26 million tonnes with copper content of 1.2%. Since it has returned to operation since December 2007, the mine, will annually generate 9,000 tonnes of concentrate at peak production point.